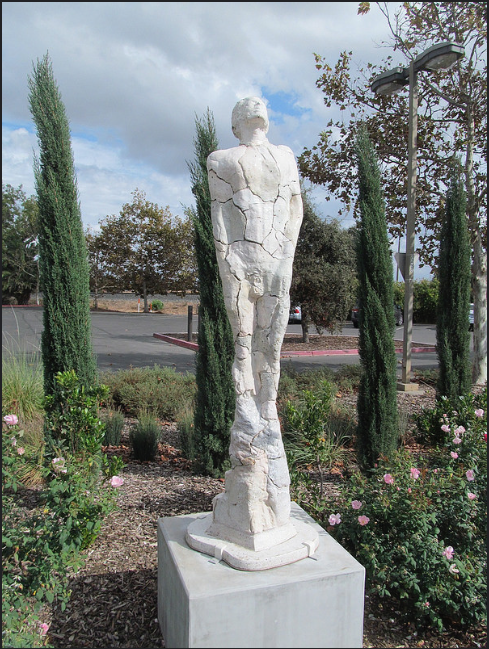 The Restoration of Hope by Dan Snyder was donated to the Magrit Mondavi Art Garden in 2016 by Pamela and Richard Kramlich. The sculpture depicts a figure who seems to be encased, just barely cracking through. The figure’s head is facing up towards the sky, looking hopeful for its escape. The figure is life size, then put upon a pedestal and made from ceramic and cement.